The Carolina’s has been lately making noise on the Hip Hop scene with artists like J. Cole featureless releases reaching platinum status. Also, new emerging artist DaBaby climbing the charts with his comedic antics along with his intimidating lyrics. Then there’s DONGALA, who is somewhat a taste of both artists. A second generation Congolese of the Democratic Republic of Congo, born in the de facto capital of the European Union Belgium, Brussels, raised in the second largest banking metropolis in the United States Charlotte, North Carolina. The International Emcee, of which he refers himself to be, with his up top lyrical essence that is fusion with dirty south swagger is something to be watching out for. With his latest release “Day Like This” produced by the musical chameleon TaylorMade Beatz featuring the R&B sounds of Nakuu on the chorus. It is the cousin of an updated version of the Ice Cube’s classic “It Was a Good Day”. A guarantee anthem for enjoying the Spring and the Summer weather and activities. Whether you are on the grill amongst friends cooking out, or in your droptop roofless cruising the streets. DONGALA’s “Day Like This” is the sound of your Soundtrack. Beijing Lifestyle Entertainment presents Jay City "Residue" hosted by Bigga Rankin. Make sure to check back often for updates and tour info. 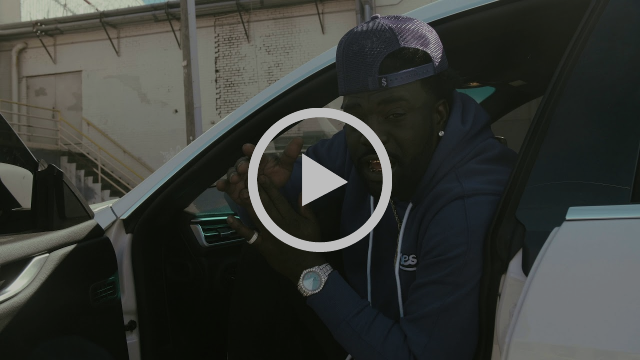 New video by XL the Kid titled "GOOD SHOT" ft. Ayuh!!! The anticipated release of his next project, an EP, entitled ‘It Was A Thursday' set in a club banger, trap vibe with catchy hooks, melodic flows, an undeniable street edge and sometimes simple but deep lyrics among the more creative literary devices. The single off the project, entitled ‘WORK' was released on the 15th of March 2018 and the project which was scheduled for release in September of 2017 will now be available from the 28th of February 2019. The single gained a lot of radio play initially but eventually died down through to lack of promotion as ‘B Miner’ was hit with severe financial and personal issues which kept him from producing anything being barely able to survive. Now he's back, with a vengeance! ‘B Miner’ started like most, singing in the church but by the time he was in class 3 at St. Stephen’s primary he was the head of the boys choir and the deputy head of the school choir. As his voice started to crack so his body changed, he decided to quit the choir but continued to sing at church. When moving on to secondary school ‘B Miner’ was growing into a teen and he started getting into fights while being caught up in the wrong company. Trouble, cops, gangs and suspensions later, B Miner's probation officer encouraged him to find another activity to do besides cricket to keep him out of trouble. B Miner, then took up dancing and formed his own crew that had entered a local competition. There was ‘hate' coming from one of his female classmates and B Miner decided to retaliate with a song. And that was when it all started, he started writing his own songs and remixing popular rap hits at the age of 14 for his friends and started writing and releasing dance hall and hip hop at 15 as he realized he had a knack for creating music that people responded to though there was a lot of development to ensure. With the major development of his writing skills but the continued run ins at school and the streets, B Miner was pushed to join the Junior Monarch Calypso Competition by his probation officer again, where he made the semifinals for two years co-writing both of his songs. The second of those two years he made the local paper for a captivating performance at one of the tents leading up to the semifinals which also featured some information on his personal life. B Miner then decided to leave the calypso arena as he wasn't getting any joy from it and proceeded to release a series of dance hall tracks with Look Out reaching the radio. Performances came and performances went but development was always there so he decided to take a break and hone his skills as a songwriter, performer and above all a rapper that has the basic skills and sound to mesh with seasoned artists and to attract potential listeners and fans. Basically, B Miner wanted to be at the head of the chasing pack when he ‘arrived' on the scene. In 2016 he released his first single since 2013 featuring ‘Skytrip-taylor' entitled ‘Running Insane' which did well initially on SoundCloud. He made the local paper again for the release of his debut mixtapes entitled ‘Fustrated' and also made the local television station ‘cbc' on the show‘Route 10’ after the release of the mixtapes. In 2016 he was nominated for Best Music Video at the Barbados Media And Video Awards for the music video for ‘Hottest In The City‘. B Miner is not only a very talented artist, he is also very ambitious and has a list of high career goals such as wanting to be an internationally acclaimed artist that sets the benchmark for versatility. Infatuated with the Grammys since a kid, evident from a line off of the upcoming EP on the song ‘Family' where he said ‘Used to watch the stars on TV, man I used to wanna win a Grammy…’ and on the remix of one of his favorite rappers, Meek Mill, song ‘1942 flows' released in October of 2017, B Miner said, ‘Ever since I was a kid I always wanted this s**t', it is no surprise that B Miner wants to win a Grammy by 30 and 10 by the end of his career. Always adamant about becoming one of the most entertaining hip hop artists ever because of a lot of weak performances from stars of his genre, there is no question of possibility with his all action demeanor. Not only a rapper B Miner has his eyes focused on being inducted into the songwriters' hall of fame. Despite being very confident, he is also very forward thinking and honest about other artists work and wants to help talented and hardworking people of his home country get into the hip hop industry by being the pathway. He wants to one day own his own record label once he reaches the A list of hip hop in his solo career. Not only a musician but multi-talented, he also wants to take his career into acting fashion, business and advancement of his island and at the end help restore the faith in hip hop artistry seen before. The pending EP is part of a much bigger plan than just releasing good music as it will contain the material needed to rock parties and shows. With the six songs on the EP along with the releases in 2017, B Miner will have adequate material for all types of bookings around the globe. 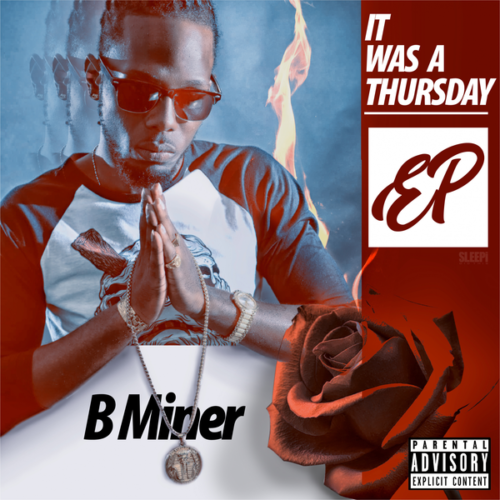 It Was A Thursday was designed to go head to head with the bigger and more accomplished acts, which can be risky but with the talent, desire and work ethic, B Miner is sure to turn heads. This will then allow him to get his foot in the game where he can then bring his talent to the entire world to begin his journey of reaching the goals he has set for himself. You can keep up to date with everything happening with B Miner via his social media pages. “I Wanted to Tell you” is sprinkled with guest features and beats from some of hip hop’s newest and upcoming talents. Lea Robinson, granddaughter of Sylvia Robinson, founder of the iconic Sugarhill Records, with her new album “Broken Girl”, lends her unique style to the hit single “NVI”. Multi-talented singer and songwriter Zaire White, who appeared on Fox’s “X Factor” and NBCs “The Voice”, adds his savory sounds on Blue Oceans. Atlanta based mega procurer Rhondo, makes his presence felt with his trap-style beats and even adds a refreshing verse on Lost Touch. The album would not be complete without Akash’s mentor, older brother, and New Delhi hip hop pioneer RiSK, who adds his classic, progressive flow, formed in hip-hop’s golden era. The two combine forces and lyrical expertise on two of the album's premiere singles, Where you Wanna Go and Deep. 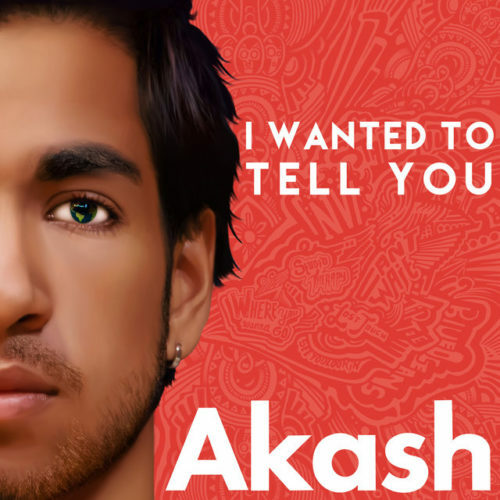 “I Wanted to Tell You” not only gives us unadulterated access to Akash, but also allows him to flex his musical muscle and portray his sharpened skills on this exceptional project. The 2nd installment in the Project Music series is proving to be the charm for Atlanta's "Trap Pastor" VL Deck. One of the hardest working and most consistent of the current .crop of Atlanta's unsigned artists, VL Deck shows no sign of resting on his laurels. After spending years establishing the presence of his Section 8 Ent label, VL Deck is poised for 2019 to be his breakout year. VL's latest release is a visual, but more than a video. Cultured by the Wolf - Marc Diamond crafts a documentary type vibe to coincide with the story of Vito - an all too common tale of misguided youth and its consequences. As a survivor of these same trenches, VL Deck is a natural in the streetcentric scenes of Vito. Listen to VL Deck wherever you stream music! 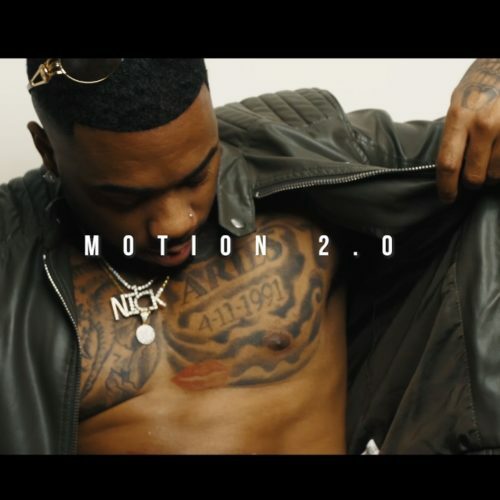 Landing in Detroit Michigan we run into a Dope R&B artist name Nick LaVelle that lives up to those fantasy's by teaming up with fellow singer "Vedo" for new Single "Motion 2.0". Focus on deep sexual encounters both Nick and Vedo describe why specific motions with their female counter parts will have her hot all over. Sounds of love making, can put you in that mood, where you must fulfill that urge. Nick and Vedo show you what they mean with the Official Motion 2.0 video where they mention "Love it when I go under, Love when I use my tongue down, it’s all about the motion. The beat sets the mood, the lyrics get you in your feelings and the video makes you put your thoughts into action.